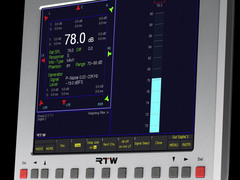 AMSTERDAM, 13 SEPTEMBER, 2013 – RTW, a leading vendor of visual audio meters and monitoring devices for professional broadcast, production, post production and quality control, is pleased to debut at IBC 2013 (Stand 8.D92) a firmware update for its flagship SurroundControl 31900 and 31960 series. 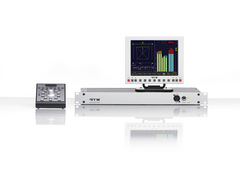 In addition to supporting all current EBU/ITU loudness regulations, including ITU 1770-3, the new firmware simplifies the control of the studio monitoring environment when switching over between various audio formats like stereo, 3.1, 5.1 or 7.1, a common occurrence in today’s broadcast environment. By enabling the user to select independent Trim and Delay values for both analog and digital monitoring outputs, this information can then be stored in up to five Level/Delay Trim Sets in the Audio System menu. When defining the individual input routing for the sub presets, these new Level/Delay Trim Sets can be allocated and tapped into as needed. RTW’s SurroundControl 31900 and 31960 series combines control, analysis and monitoring of eight-channel 5.1 to 7.1 surround sound into one single system. 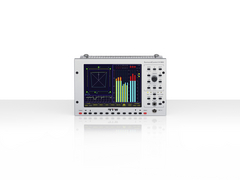 The proprietary Surround Sound Analyzer (House display) is a powerful tool for visualizing the interaction of all important parameters of surround signals.The dynamic behavior of all display elements corresponds to the subjective listening impression, enabling you to see the balance of a surround program intuitively and at a glance. 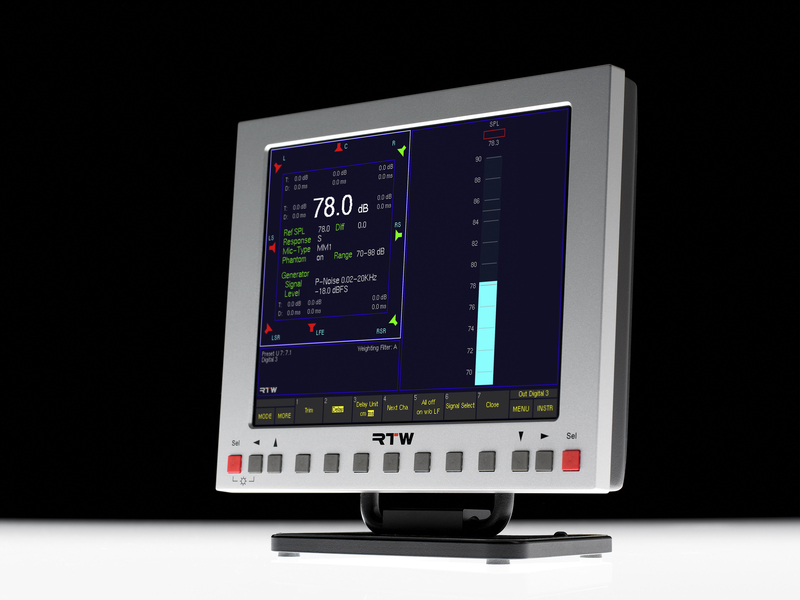 RTW’s unparalleled Surround Sound Analyzer is capable of displaying any surround program up to 7.1 DD+ and Cinema for fast, in-depth evaluation. Further, the SurroundControl series’ popular Multicorrelator display offers detailed phase information between all channel-pair combinations. Meanwhile, the LFE correlator is an advanced feature for testing for phase problems between any given channel in respect to LFE.